Oleksiy Mushak believes that the Constitutional Court will confirm illegality of the memorandum. 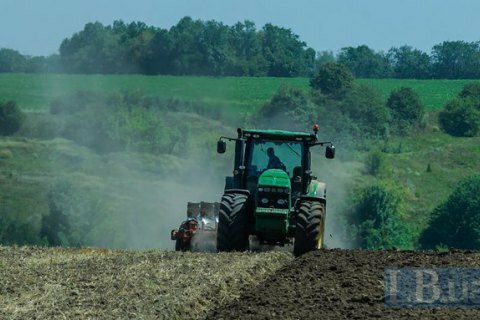 Verkhovna Rada deputy Oleksiy Mushak said that Ukraine may receive an absolutely free market of land by the fall of 2017, when the Constitutional Court abolishes the moratorium on the land sale. Speaking at a roundtable conference in Gorshenin Institute on 17 February he stated the belief that the Constitutional Court may in six months to scrap the ban on land sale as contradiction the Constitution. "In principle, by fall we may have the land market without any kind of restrictions, " the deputy said. He said that the Ukrainian Constitution guarantees citizens the right of ownership, which consists of three components: possession, use and disposal. The moratorium does not allow villagers to dispose of their land, thus violating the Constitution. The lawmaker said he was confident that the Constitutional Court will confirm this. Any successful country does not ban the sale of agricultural land, he said. "Countries that do not allow selling and buying land are Cuba, Venezuela, Congo, North Korea, or Tajikistan, such a nice country. It is not a successful model that we need to follow," he said.